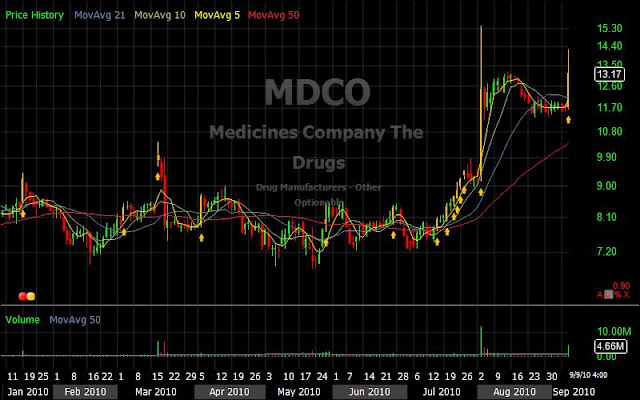 Going through the stocks showing up in the Percolator scan, I only see one decent setup, MDCO. The indices are getting close to bumping up against their 200 day moving averages so I'm playing it cautious over the next few days. Daily and Long term breadth are still positive and the short term trend is up for now. Honoring all stops as usual. Monday will probably give us a better picture. 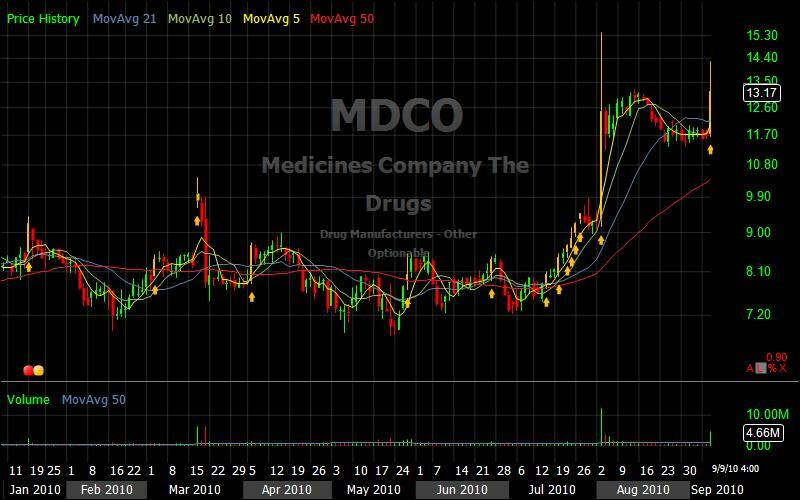 No Response to "9/9/2010 Evening Review - MDCO"